In June, 2010, I made a trip to Uppsala, Sweden, with a one-day stop at Åland islands on both ways. My wife Mari and her friend Inka were travelling too, but they made their way directly to Uppsala and participated in the Åland part only on the return way. I visited Åland islands (an autonomous part of Finland) and Uppsala (a city in Sweden) in June, 2010 with Mari and our friend Inka. The places were near but it still was the first time for me in both of them. Places in Åland: Mariehamn, Jomala, Eckerö, Sund church, Kastelholm castle. 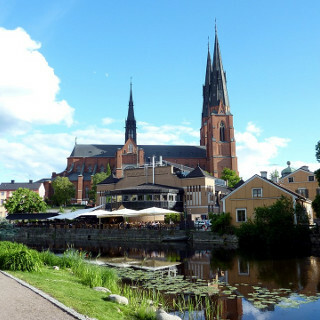 Places in Uppsala: Cathedral, Linnéträdgården, Gamla Uppsala. Places on the way: Grisslehamn and Eckerö Linjen. I was in Armenia with my sister Nina in May/June, 2009. We were there to visit some monasteries, to see beautiful landscapes and to enjoy good food. 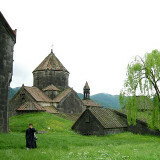 Monasteries: Sanahin, Haghpat, Haghartsin, Goshavank, Sevanavank, Tatev, Khor Virap, Geghard. Other places: Noraduz, Selim Pass, Garni Temple. Mari and I, we visited Guadeloupe, Dominica and the Saints (Les Saintes) between them in November/December, 2007. It was our honeymoon trip. Places in Guadeloupe: Pointe-à-Pitre, Sainte-Rose, Soufrière, Le Moule. 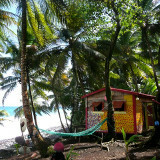 Places in Dominica: Roseau, Portsmouth, Cabrits, Pennville, Marigot, Carib Territory, Saint Sauveur. See also my separate Roseau photo pages. 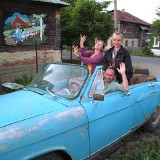 I visited Russia with my bestman Hanne in June, 2007. Our main destinations were Moscow, Kazan and the Mari El Republic but we also visited, for instance, the Holmi festival. Some of the places where we visited: Moscow, Borovsk, Holmi festival, Kazan, Yoshkar-Ola, Kozmodemyansk, Tver, Saint Petersburg. 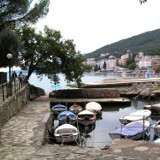 I participated in a car trip to Croatia and back. A friend was moving there and needed someone to drive the car. The trip was made in September/October, 2005. Way there: Sweden, Denmark, Germany, Czech Republic, Austria and Slovenia. Way back: Hungary, Slovakia, Poland, Lithuania, Latvia and Estonia. I made a train trip in Europe with my girlfriend (who later became my wife) Mari in July, 2004. 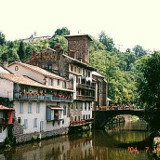 Our main destination was France. We also met my sister Nina and her dog Hyena in the Spanish side of the Pyrenees. Latvia, Poland and Germany, Netherlands, France, French Basque Country and Navarre.